November and December 1918 notably coincided with a focus on the Cork Lunatic Asylum in Shanakiel as it struggled to look after its high number of patients whilst at the same time keep its staff happy in their work. 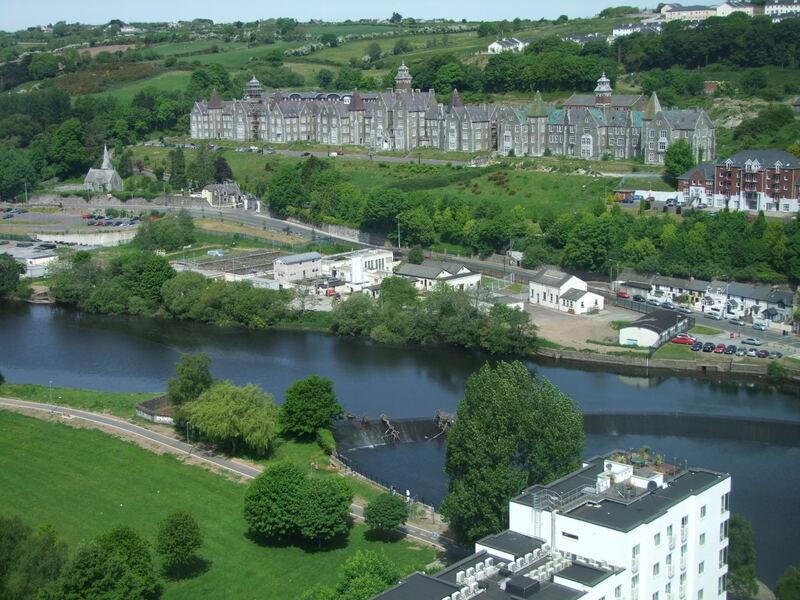 Cork was one of the 24 District Lunatic Asylums in Ireland plus it had an auxiliary asylum at Youghal. The Annual Reports of Inspector of Lunatics (Ireland) for 1917 and 1918 reveal circa 20,000 patients in the district asylums and auxiliary asylum. Circa 1,000 patients contributed wholly or partly to their support. Over 360 criminals were maintained by state funds whilst the remainder were maintained partly out of the Government Grant and partly out of local rates. Patients in private licenced houses and what were called mental hospitals were supported entirely out of private funds. In the reports, a marked increase in the death rate is noted at the asylums – on average a ten per cent increase, which was put down to cold winters, the advent fever, and/ or the adverse effect of war on the provision of food and the lack of other supplies to already feeble patients. At a meeting of the Committee of the Cork Lunatic Asylum on 21 October 1918 the Acting RMS Dr Cashman reported that the total number of inmates in the Asylum was 1,694. The minutes of the meeting, as published in the Cork Examiner, noted that the gathering had under consideration a letter from the Asylum Workers’ Association demanding the limitation of the hours of duty of the staff of the institution to 56 hours per week and £1 weekly over the pre-war rate of wages. 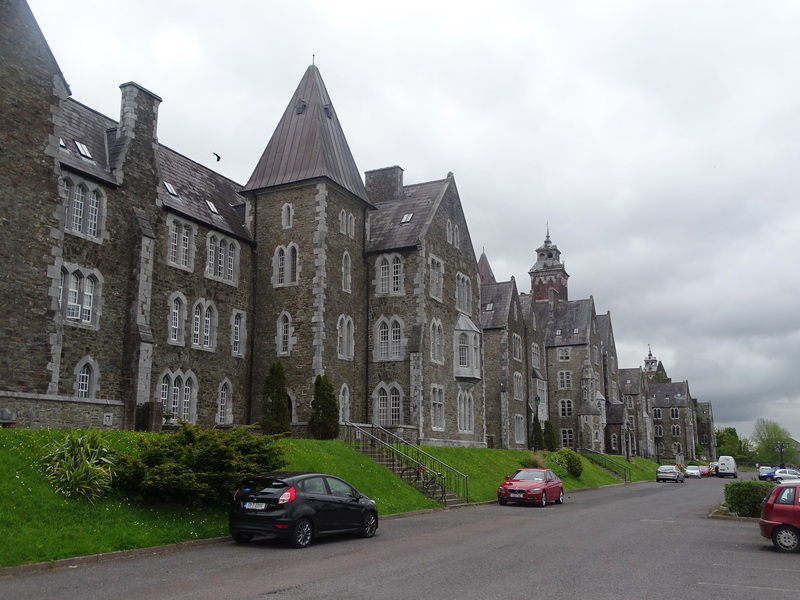 Dr Cashman denoted those proposals would need an increased expenditure of between £5,000 and £6,000 a year, which the Cork asylum did not have. In a letter he received from the staff they pointed out that after strikes of brief duration in the asylums of Ennis and Limerick, their wage demands were acceded to in full. Dr Cashman detailed that Ennis and Limerick Asylums were small institutions, where the increase was only a matter of £50, but Cork was a large populated asylum. The only other asylum that Cork could compare with it was Richmond in the North Inner City of Dublin where the latter institution gave the male staff an increase of 19s per week on pre-war rates and female attendants 12s 6d per week. Dr Cashman held the belief that the Cork Asylum had the best paid staff in Ireland. By 29 October 1918, the threatened strike at the Cork Asylum had been amicable settled. Negotiations were conducted over a few hours by Fr Thomas Dowling of Holy Trinity Church (who was written about in this column in June of this year). After the meeting it was announced that the Committee of Management and members of the male and female staff had arrived at a settlement. This comprised an increase for the term of the war at 17s per week to all male attendants and 12s per week to all female attendants. All past bonuses were to be cancelled. An advertisement seeking female attendants on 11 November 1918 sought female attendants on a salary of £15 per annum, rising to £35 5s per annum and a war bonus at 12s per week and emoluments consisting of board, lodging, uniform and laundry. Applicants had to be over 20 and under 30 years of age and had to be nominated by a member of the Asylum Committee. An applicant’s height had to be not less than 5ft 4ins. There was an examination at the Asylum where reading, writing, spelling, arithmetic, and Elementary Irish. Successful candidates were to undergo probationary training for six months, when if unsuitable, their services could be dispensed with. On 19 November 1918, Dr Cashman reported that the Asylum had been safeguarded from the prevailing epidemic of influenza. Not a single member of the resident staff was confined to bed. The only officials that had been attacked were those who lived out, and they had been isolated and treated in their own homes, where necessary, by outside medical men, and in these cases the attack had been of a mild type. He recommended that none of the precautions taken should be relaxed. The general health of the inmates he deemed “was excellent for the time of the year”. The typhoid fever that recently attacked the Asylum with such grave results had completely disappeared. Financially the asylum was not living within its financial means. The manager of the Munster and Leinster Bank wrote to the committee with reference to an application for an overdraft of £12,000 to be paid off by April 1919. The manager sought information on what had occurred to prevent this arrangement being carried out and the request for an increase in the overdraft. The committee decided that a letter be written to thee bank acquainting them of the arrangements made to clear off the overdraft.